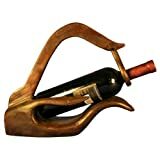 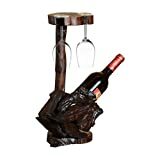 Put your finest bottle of wine on display in a unique sculptural way with this cool new Tarang Teak Wine Bottle Holder. 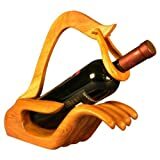 Handcrafted by artisans in Indonesia, this solid teak carving holds one bottle at a time and no two are exactly alike. 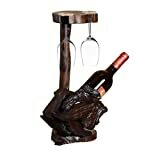 It also doubles as natural art without a wine bottle in place.